We are your FAA Part 107 Certified Aerial Solution in Northern Arizona. Based out of Prescott, Arizona Drone is a fully insured commercial drone piloting service and aerial data collection service. If you're looking for legal aerial data and imagery services you've found the right company. Drones are showing up in more places every day. For some, drones are considered a nuisance. For others drones offer new methods of working smarter and safer. Arizona Drone offers services that can help businesses ensure safer work environments, collect data faster, and provide unique views of work environments that used to be difficult to achieve. From construction site modeling to construction progress documentation, AZ Drone is here to help with your building needs. So many additional services are possible as well. And of course, Real Estate aerial still photography and video collection are available to our clients. While there are so many applications for drones today, Real Estate imaging is always in high demand! With the latest tools and techniques available for drone operators new construction builds can expect a lot out of drone data collection services. Aerial site inspections and time lapse can show construction site progress like you’ve never seen before. 3D site modeling is available now, and shows the job site in a way that will impress your investors and construction teams alike. Elevation modeling is also available today in order to see the layout of your latest construction project. Topographic models can also be generated for build sites that offer a challenging landscape. And volumetric measurements are now available to observe the usage of site fill, and more. For roofers, drones offer unique inspection opportunities. Inspecting roof tops has never been easier or safer. What a team of roof inspectors can do in an hour can now be achieved in a shorter amount of time with more accuracy utilizing drone services. 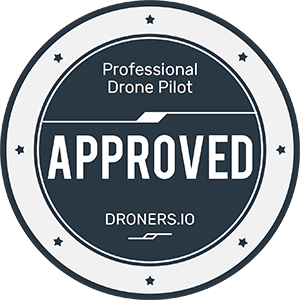 Also, roof top inspections with experienced drone pilots offers a safer way to inspect roof tops. For solar installation companies, roof top inspections and models can be completed quicker, safer, and with fewer liability issues. You no longer need to put a team up on a roof top to measure and inspect the roof. That means fewer insurance liabilities, less opportunity for job site injuries, and a better bottom line for your business. The real estate market place is already very aware of drone imaging opportunities. Unique views of properties for sale. Video marketing campaigns that help a real estate group provide one of a kind experiences. Property imaging that shows potential buyers the full view of a property from anywhere in the world. Aerial imaging goes beyond just real estate sales these days. Presenting your business from the air adds some wow factor to your next online marketing campaign. If you’re looking to show off your B&B, Motolodge, or Resort, drone photography and videography might be a great addition to your marketing. Consumers make decisions on where to stay based on how the property looks, what’s available, and other customer reactions. A properly placed drone video can encourage more guests to come to your location. While AZ Drone is capable of aerial data collection, visitors should know that we do not interpret survey grade information. For projects where exact measurements count, you still need to rely on a licensed land surveyor or survey engineer. AZ Drone can provide data in cooperation with your surveyor, but our data gathering does not replace the need for a licensed land surveyor in any state. This is not exclusive to our business, all drone data collection services cannot interpret data unless they have a surveyor on staff. Additionally, we do not overlay property boundaries on home lots (developed or undeveloped) for sale for the same reasons noted above.